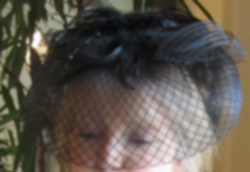 If it's antiquing before or after afternoon tea, both! If it's boutique shopping, mmmmm, maybe once or twice a year. Any other kind of shopping? Ick: I'm with you. Well, let's not even call antiquing "shopping." And it *would* combine well with afternoon tea, wouldn't it? Lovely, Jean! 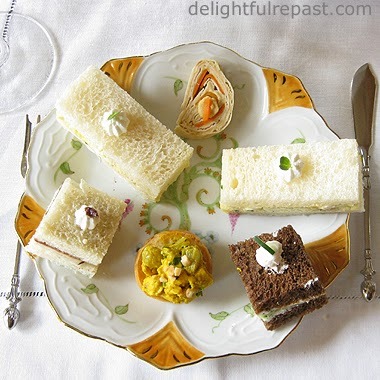 Love the crockery and the sandwiches were very pretty. I'm like you - don't care for smoked salmon sandwiches, no matter how traditional they are. Did you feel this Afternoon Tea was good value for money? Thank you so much for leaving a comment on our blog, through which we have been delighted to have found you. Afternoon Tea is, sadly, not the institution that it once was, particularly in Britain. However, yours sounds to have been wonderful. The only absence appears to be extra hot water!!! 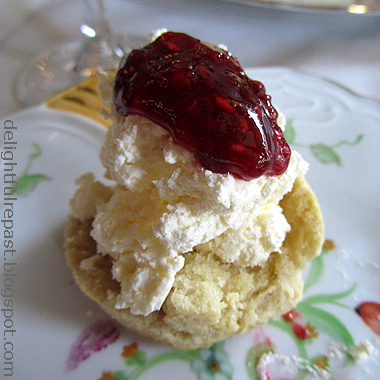 Although we are English we live in Budapest where scones are completely unknown. And so, although we never venture into the kitchen normally, we are forced to go there to make scones!!! Denise, thank you! Yes, though it was very pricey, my friend and I both felt it was worth it. Some of our other friends who enjoy tea from time to time, but who do not love and need it like we do, would not agree. Jane and Lance, thank you. And thank you for following. No, here you will never find the little pot of extra hot water; you just ask for it. And in this case, when my tea was getting low, I just asked for another pot. (I drink a LOT of tea!) Glad to hear you're keeping up the scone tradition! I always make them wedge-shaped as my mother and grandmother did. Yes! But so many places either give you a tiny amount of it or a faux version. If they're going to do faux, I don't even mind stiffly beaten cream, but what I hate is the watery thin stuff. One expensive tea I attended, at a place that otherwise did it right, actually squirted a bit of canned whipped topping (not even canned whipped cream!) into a little dish! Mercy, but I believe I’m beginning to understand you. It is not what you like that is clueing me in but rather what you don’t like – or need. The shopping, the pastries. Guess I had assumed that shopping and wedding planning were…um, wedded. Not so. Different category of “shopping” as far as you’re concerned. And pastries…well, we need not dwell on the fact that pastries are the one thing I would take away from the table, so to speak. Guess it kind of reinforces what I see as common ground in our separate passion for perfection. You truly do take a sense of propriety, natural order, God-is-in-heaven-and-all-is-well, even righteousness in the harmony and order of tea-time rites. p.s. I forgive you for not liking chocolate (more for me). Sully, you're just peeling back the outermost of my many layers! And, yes, you are welcome to have all the chocolate and all the little overly sweet pastries on the tea table. Just don't try to snag any of my sandwiches or scones! Yes, you *look* like someone who would enjoy shopping - you have a really vibrant, energetic look! I get completely drained by shopping. The afternoon tea at Montage Beverly Hills sounds superb! Everything looked and was described wonderfully (delicious). As for the question? I hate shopping except at book stores, but I am quite sure I would love afternoon tea, especially with all those great accompaniments! Makes me want to go make a batch of scones. Oh, Judy, I know you would love it! In the meantime, a batch of scones will be great. I am allergic to chocolate, so it doesn't much matter if I like it or not. I do love shopping, however. Tea sounds so fun, and to me in gloomy, cold Michigan, anything California sounds wonderful. Thanks, Laura. 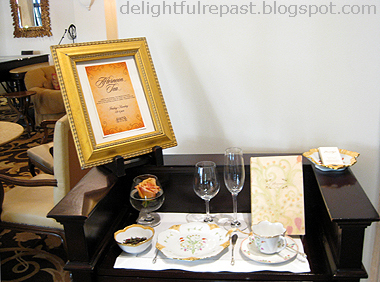 There are quite a few places in Michigan to go for afternoon tea, including Flora's Tea Room at The Whitney in downtown Detroit and Sweet Afton Tea Room in Plymouth. I've enjoyed tea....what girl from the south hasn't, right? I typically have mine "iced". I have never experienced the afternoon tea ritual though. It looks delightful! I think I must change that in my life. Thank you, Candace. I hope you'll find a good tea room near you. You reminded me - my Southern grandmother always made iced tea, but I've had some really wonderful afternoon teas in the South. Had a great one in Atlanta at Ritz-Carlton Buckhead. Thanks, Julia! Perfect - you can have all my pastries if I can have a couple of your sandwiches or one of your scones!